Add some edge to your work wardrobe, or throw on your favorite sweater for a lazy day alternative. 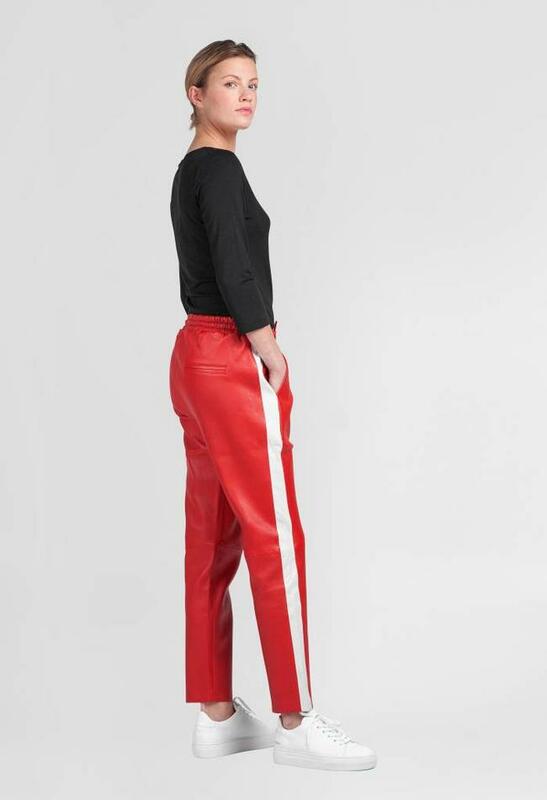 Our red Leather boyfriend trousers with sporty white side stripes is a true it-piece of sporty elegance. Wear them street, tuck in your T, and throw on your favourite sneakers, or be style savvy in head-to-toe black.